Silver futures trended weaker on Wednesday with September contracts down slightly to exchange hands at $14.55 an ounce in afternoon trade. Like gold, silver went off to the races at the start of the year to hit a 2015 high of $18.36 on January 22 before falling back to trade down 7% for the year. The precious metal is 28% below the level it was trading at a year ago. A new report by Capital Economics sees a brighter outlook for silver in the second half and out to 2017. The independent research house says one of the primary reasons for the anticipated higher silver price is the nature of silver mine supply. While the market has been in oversupply in recent years, less than a third of global output comes from primary silver mines – the remainder is produced as a by-product in mines which target copper, gold, zinc, and lead. 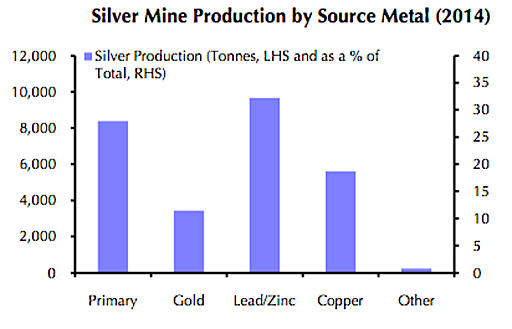 "About 35% of silver comes from lead and zinc mines. While the zinc price is up 10% since July 2012, the lead market has been plagued by years of negative performance prompting production to fall by 6% in 2014. What’s more, zinc’s positive price performance has been driven by mine closures that have removed about 1 million tonnes of supply since 2013. "While efforts are being made to restart some idled mines and to expand existing mining projects, there is limited investment going into new mine capacity. As a result, silver as a by-product could start to dry up soon, leading to a much sharper slowdown in output than we had originally anticipated." 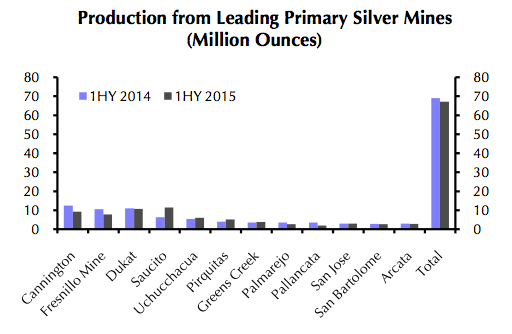 At the same time output from the top 15 primary silver mines have also fallen back and is down 3% during the first half of the year. Production from Mexico and Peru, responsible for 36% of the global total declined 7% year on year in May. 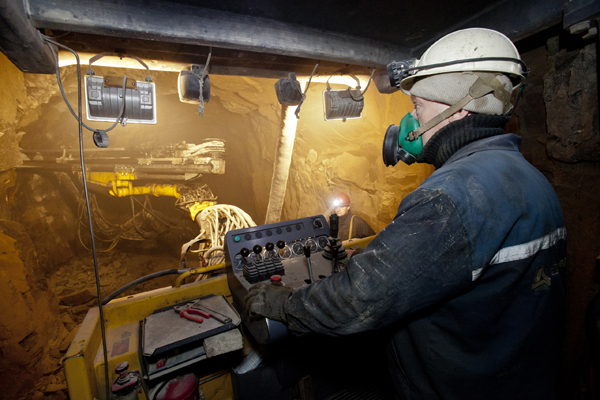 Capital Economics anticipates mine supply to be no better than flat in 2015 and the market – thanks in part to strong investment demand – to return to a deficit in 2015. The house view is a year-end silver price of $16.50 per ounce and a longer term move back to $22 thanks to a rebound in electronics demand.